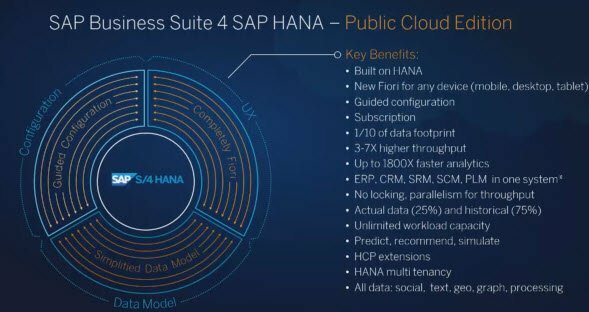 SAP today announced SAP Business Suite 4 SAP HANA (SAP S/4HANA), the next-generation business suite to help customers run simple. SAP S/4HANA is a new product fully built on the advanced in-memory platform, SAP HANA and is designed on the most modern design principles with the SAP Fiori user experience (UX) for mobile devices. SAP S/4HANA brings unprecedented innovations and simplifications to customers, combined with more than 40 years of experience across industries, in a completely reimagined business suite only possible with SAP HANA. SAP S/4HANA will offer cloud, on-premise and hybrid deployment options to provide maximum choice to customers the press release suggested.